It is Sunday. And since the relatively cool weather of the last days had some bad influence on my health, I decided to stay at home with some other people. That allowed me to sleep longer – actually until noon – and I came to Cripps Court just right for lunch. There were not very much people who were staying at Cambridge this day. A lot of the other guys and girls went to London to meet some friends and to go shopping. One guy even got one of those popular last minute tickets for the Proms, where at this night a solo cello concert took place. So, there were lots of opportunities to enrich the day. However, I decided to take a day off to regain my health. I spent some time on reading an interesting book that I brought with me from home, took a nap and went to dinner at 6 pm. Afterwards I met with two other delegates and we headed to the city into a nearby Latin bar for a second dinner. This dinner was quite extensive. 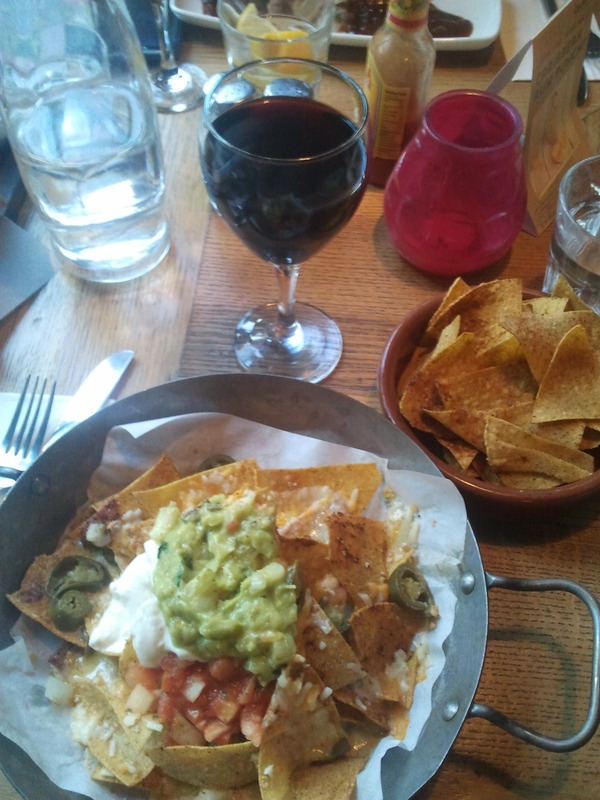 I had a marvellous portion of nachos accompanied by some good red wine. Everybody had more than just enough. And after my colleagues had their mango sorbet we left the bar satisfied with full stomachs. In short, a very calm and relaxing Sunday.